These FAQs are for fans interested in Packers Everywhere. Why did we create Packers Everywhere? Packers Everywhere is the place to find official Packers bars and events and connect with other fans to root for the Green & Gold. Every week, bars and restaurants near you will be hosting Packers fans to watch the game together. Come to Packerseverywhere.com to find these events, play fun games and enter contests for exclusive prizes. Right now, Packers bars and restaurants are signing up across the country to become official Packers Everywhere bars. Packers fans are everywhere. And there are millions of you. And your passion knows no bounds, nor city limits. The Green Bay Packers created Packers Everywhere to help you find the best places in your hometown — no matter how far from Green Bay — to cheer on the Green and Gold. For starters, participation is totally free. And the Green Bay Packers will never give away or sell your information. By signing up, we'll provide you with access to a database of Packers bars and restaurants throughout the country, so that no matter where you are, you can cheer on your Packers with other fans. You can even create your own event, and we will promote it on our website for other Packers fans to join. Additionally we will invite you to exclusive events, just for members of Packers Everywhere, and provide you with original content about the Green Bay Packers. Later this summer, we'll be rolling out a mobile application that allows you to access all the benefits of PackersEverywhere.com right from your smartphone. 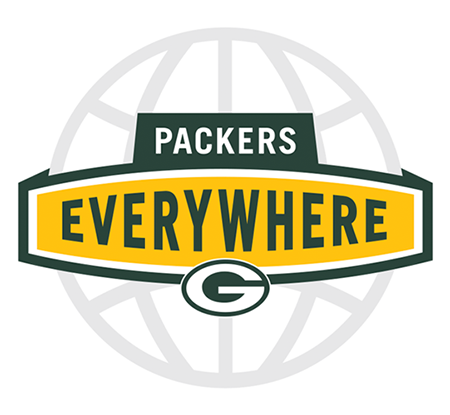 If you are interested in joining Packers Everywhere, please sign up by clicking here. Not a whole lot. You just have to sign up to join. Or Like us on Facebook or follow us on Twitter. Then you just have to keep an eye out for an email from the Green Bay Packers telling you about the exciting new features we are rolling out later this summer. Remember, you'll be able to attend or even create your own events when the season stars.